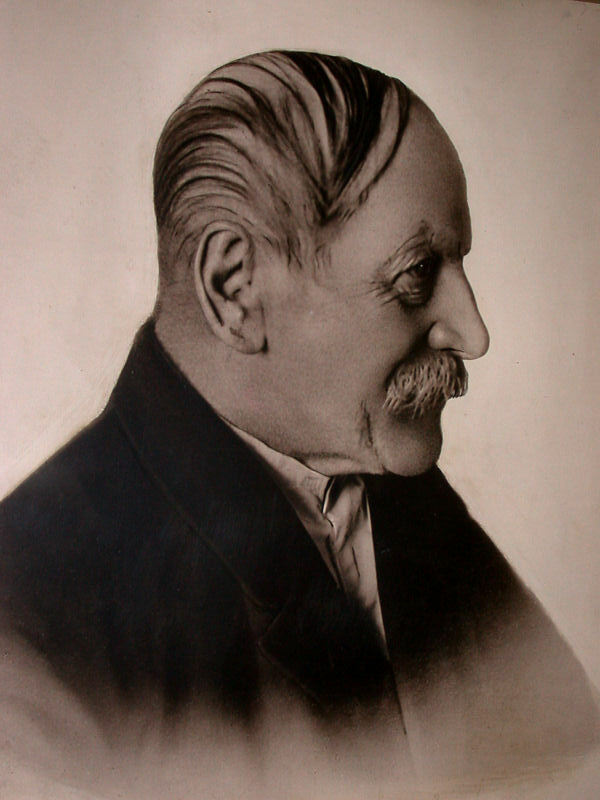 Jindřich Wankel was paleontologist and archaeologist in Bohemia, at his time during the 19th century part of the Austro Hungarian Empire, today part of the Czech Republic. He was a leading personality in Czech cultural and scientific life during the second half of the 19th century. Wankel studied medicine and was later physician of the prince, his Dr. was a Doctor of Medicine. His first job as a physician was in the Moravský Kras, then at Blansko, an iron mining and smelting town at the western border of the Moravian Karst. Obviously the nice landscape of the karst is the reason why he visited the area various times in his spare time. He discovered and explored caves, and he discovered bones in the caves. Being not a local and with his scientific background he explored the cave, which the locals never did. They had simply accepted their existence for centuries. As a doctor he had studied anatomy and so he worked with the bones he found. After living only three years at the Moravian Karst he set up a laboratory to research fossil bones from Cenozoic Era which he had discovered in the caves. It was the very first laboratory of its kind. He assembled a complete skeleton of a cave bear (Ursus spelaeus). At first his work was rather silent, but he became famous when he discovered, excavated, and published the burial site of a nobleman from Bronze Age at Býčí skála cave. Probably the discovery of the skeletons of 40 ritually killed young women made this excavation so famous. Being the first who worked in this field and with his scientific education being very good at this work, he was soon dubbed Father of Moravian Prehistory or Father of Moravian Archaeology. 1847 moved to Moravian Karst. 1850 set up first ever laboratory to research fossil bones from Cenozoic Era. 1872 excavation of Hallstadt remains in the cave Býčí skála. 1883 became honorary citizen of Blansko. Search Google for "Jindřich Wankel"